When the temperatures drop, you can still enjoy the beauty of nature by bringing it indoors! 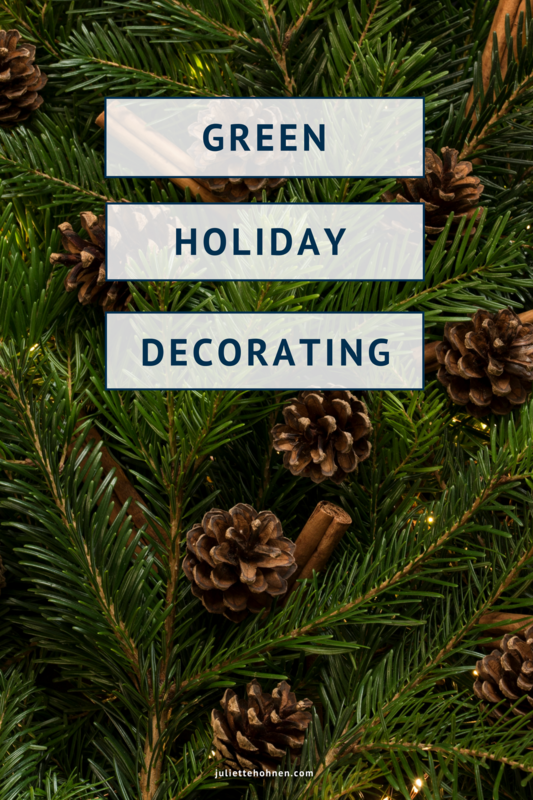 There are several ways to “go green” with your holiday decorating this year. Here are some of our favorite ways to bring natural elements into your holiday home decor. This may already be a tradition in your home, but many have never experienced having a live Christmas tree for the holidays. The National Christmas Tree Association offers several tips for choosing and caring for your live tree. Fresh garlands are a superior alternative to plastic big box store garlands. Gardens of the Blue Ridge is one site that specializes in fresh holiday garlands. They sell their product by the foot, so you can buy just the right amount. Their box wood garland (pictured) is especially stunning. The “extra thick” size of this garland would be perfect for the mantle or used as a unique table runner! Add sparkle to your holiday table with a floral centerpiece. 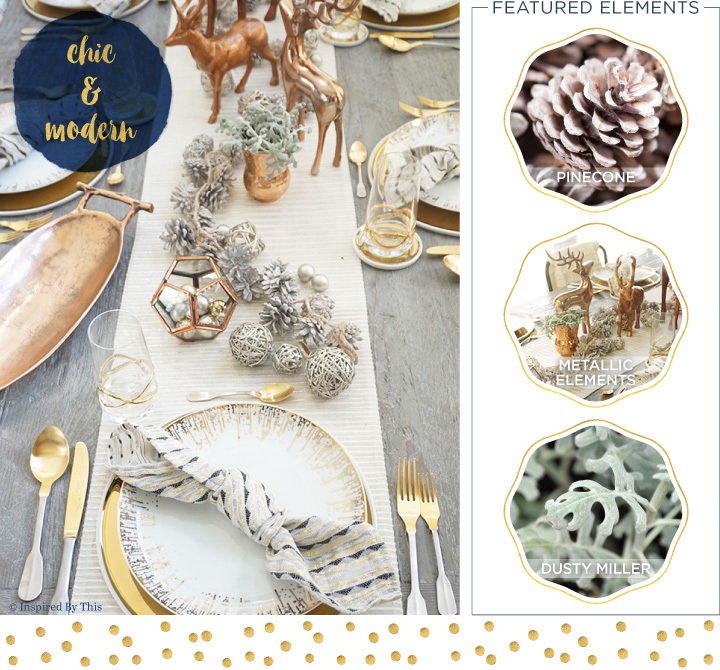 Spray paint pinecones silver or gold to add a touch of luxury to your Christmas table. Add Dusty Miller, known for its snowy white color, for the perfect complement to any Christmas centerpiece. This stunning centerpiece from FTD Fresh is one of seven floral Christmas centerpiece ideas on their site. Fill your fireplace with LED candles instead of wood logs to create a soothing, intimate setting. 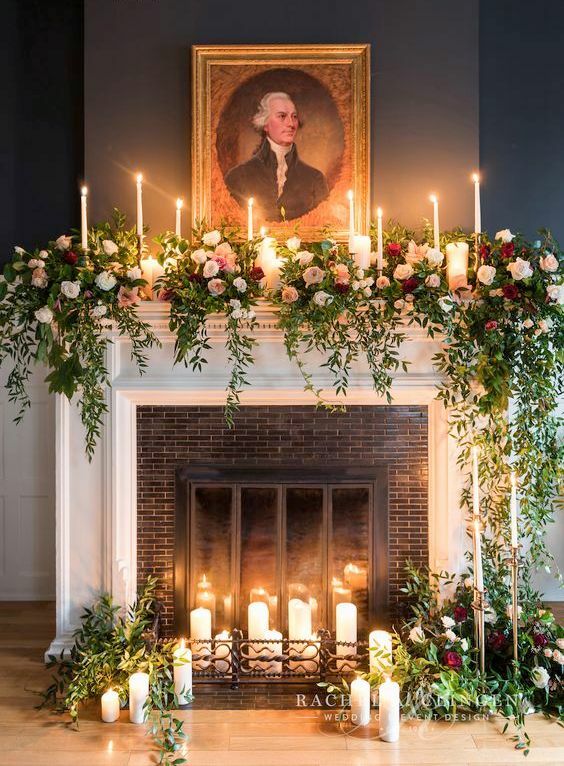 Accent the candles with lush live wreaths or fresh garlands. Fresh flowers make great accents, too. A dried fruit wreath is great for doors, of course, but it would also make a beautiful centerpiece or mantle topper. 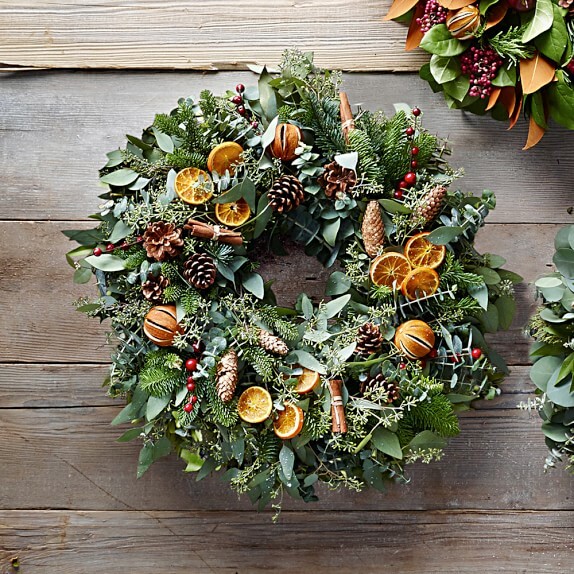 The Citrus Fruit Wreath from Williams-Sonoma is handcrafted from fresh fir, spiral eucalyptus and seeded eucalyptus with air-dried spruce cones, pinecones, sliced and slit oranges, and cinnamon sticks. Bring the scent and spirit of the holidays alive with this California made wreath. This list of green holiday decor wouldn’t be complete if we left out the poinsettia! Poinsettias are synonymous with the holiday season, and they bring a splash of red and green festive color to your windows, doors, and mantles. Keep your live plant healthy for as long as possible by following these tips from HGTV. From our homes to yours, we wish you the best this holiday season!